It’s strange to see one of the 273 cars made with the “118B” specifications painted with two longitudinal white stripes “Cobra-like”, but the classic car market often sets aside these kind of surprises. 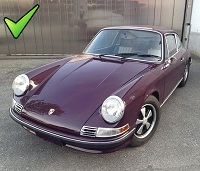 But, apart from the paint job, the rest of the car looks quite unabused: the seller says that this is a one owner car and that it has still all the original papers and plates: indeed interiors looks original and the overall aspect looks quite stock. The wheels are for sure painted in a “creative” schema but they are the original equipment. The two-tone interior is original too, but this car deserves more than two bad photos. By the way, it’s the first time we see a black 1600S: this color fits it very well. Find it for sale at €32,800 (today $38,600) here in Montecatini Terme, Italy. 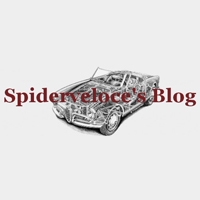 Gallery | This entry was posted in For Sale, Italian and tagged 118, 1600, 1964, b, coupè, fiat, osca, s. Bookmark the permalink.